Crack codes, outsmart word games, solve picture puzzles, and show off your brain power alongside Wonder Woman, Supergirl, Batgirl, Bumblebee, Katana, Raven, and the rest of the unstoppable, amazing DC super heroines. 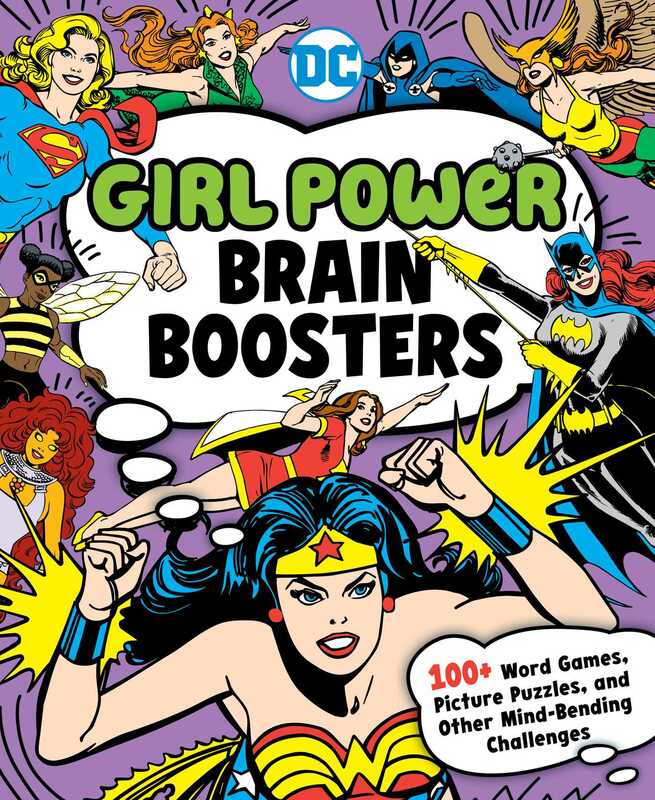 Girl Power Brain Boosters is packed with more than 100 original picture puzzles, spot the difference exercises, word ladders, drawing challenges, word searches, spy codes, mysteries, mindbenders, mazes, and more! The activities in this richly illustrated book are sure to captivate and provide an awesome brain workout.